Early 19th century. Former entrance gateway to Viewfield House. Pair of square-plan gatepiers with classical frieze. Coursed sandstone rubble with polished sandstone ashlar outer (N) elevation and dressings. V-jointed masonry and festooned frieze to N elevation; triglyphs to frieze elsewhere. Frieze surmounted by moulded cornice/coping. Late 20th century timber gates. Sandstone rubble walls adjoin to either side; that to W has adjacent pedestrian entrance with droved ashlar surround; that to E has been greatly reduced in height. B-Group with Viewfield Terrace, Nos 3-8 Viewfield House (see separate list description). 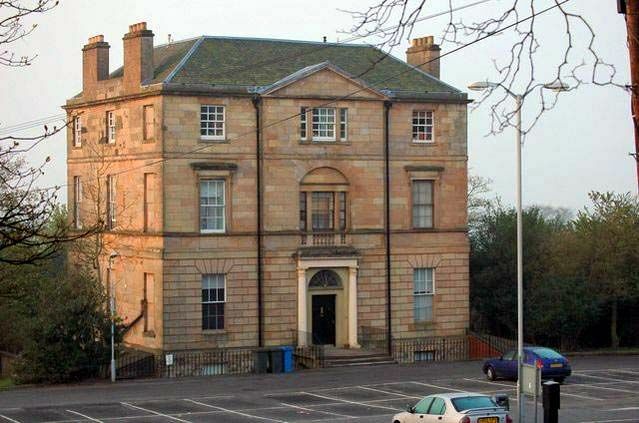 Viewfield House was built for James Blackwood, Provost of Dunfermline, in around 1808.